President Trump's emergency declaration gives him $8 billion from various government agencies to build a barrier on the U.S.-Mexico border. Democrats don't believe the illegal immigration crisis at the border merits a national emergency, so on Tuesday they plan to introduce a new measure to stop Trump's declaration. 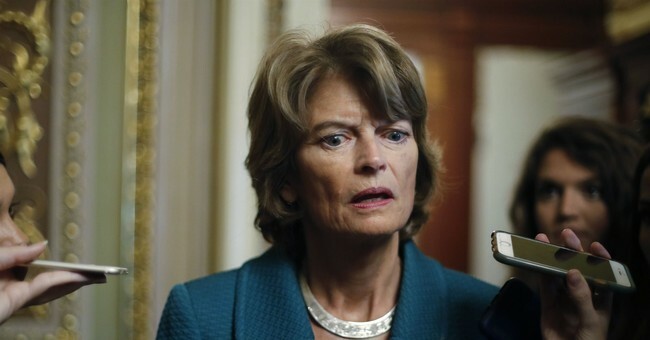 Sen. Lisa Murkowski (R-AK) is one of a handful of Republicans who intends to vote with the Democrats. "I want to make sure that the resolution of disapproval is exactly what I think it is, because if it is as I understand it to be, I will likely be supporting the resolution to disapprove of the action," the senator revealed Monday. She joins her usual partner-in-crime, Sen. Susan Collins (R-ME), who was the first Republican senator to announce she'd vote for the measure to condemn Trump's emergency. Sen. Marco Rubio (R-FL) has not indicated his vote, but like other GOP colleagues has shared his concerns about Trump's action and whether a more liberal president would take advantage of his or her executive powers as well. For instance, does this mean a President Ocasio-Cortez could declare an emergency for the Green New Deal? While a few more Republicans may break ranks, Sen. Lindsey Graham (R-SC) is assured that the GOP will still have enough votes to sustain a veto, adding that his predecessor Barack Obama issued quite a few of his own. Other Trump supporters note that the president has every right to declare an emergency via the National Emergencies Act of 1976. President Trump reacted to the Republican rebellion against his national emergency by echoing Stuart Varney's question on Twitter.